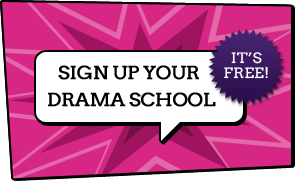 Dramaclasses.biz is a directory of drama schools and classes. Below is an alphabetical list of all drama and performing arts schools registered with us. Most of the drama schools listed with us are located in the UK and Ireland. If you are looking for a school in your area, use the search box. You can also search for schools that specialise in drama classes, singing, dance classes or TV and Film by using the advanced search. Perform on a West End Stage! The ultimate theatrical summer school and weekend drama classes. Drama Queens pass on the skills taught to professional actors in fun filled workshops. Our individually tailored classes include drama game, song, dance, creativity and play designed to improve social skills, commuincation, concentration, imagination...and most importantly they're jolly good fun! The Actors Temple is London’s original ‘alternative to drama school’ and is established as one of the leading actor training studios in the UK. The Actors' Temple offers training deeply rooted in the principles taught by Sanford Meisner. Widely respected by actors, directors, agents and casting directors, our ethos is to create an atmosphere in which to inspire confidence and equip actors to build a career in the world of acting. We offer Courses, Classes and Workshops for all levels of experience. Popular drama classes in Kensington SW1, Notting Hill W11, Hampstead NW3. All evening part–time courses are practical and require active participation in Chiswick LONDON W4. Associated Studios is one of the UK's leading studios offering professional development and training courses in Acting, Musical Theatre and Opera. Part-time courses, workshops and masterclasses are available for experienced/trained performers and there is a full-time (4 days per week) course in Musical Theatre. Associated Studios, a registered charity, was founded, and is run, by renowned vocal coach Leontine Hass. Students work in a safe and supportive environment and classes are lead by experienced and well-known industry professionals. All courses offered are advertised on the website: www.associatedstudios.co.uk. Applicants are invited to audition (audition fee applies) and are given constructive feedback. After an initial deposit, course fees can be paid by installments. Overseas applicants are also welcome and should contact the office for further details. Our part-time drama school in Highgate, North London work with children aged 4-18 years. Little Voices is an established organisation training children aged 4 to 13 years to the highest standard in the performing arts whilst also building confidence and promoting their personal and social development. ALRA is a drama school,which provides the highest quality training for students following a career as an actor, actress, stage manager or technician. DSP Performing is an established and popular Performing Arts School based in Wanstead, London with some 100 students attending every Saturday during term time. We offer a full curriculum in Acting, Dancing and Singing to students aged 5 to 18; and regularly put on productions in local theatres. All our students undertake the Trinity Guildhall Grade exams in Musical Theatre. Elizabeth Samuels is a unique drama school that caters for the need of each individual student. We are a family run business with care and love at the heart of everything we do. We are not a franchise and everyone who takes part is one big family! We offer drama classes for all age groups, half term productions and performances in a theatre throughout the year. Our part-time drama school in Greenwich work with children aged 4-18 years. Helen O'Grady Drama School for Kids offers a series of drama classes to help with confidence building and self improvement for children and young adults. Our aim is to help your child develop confidence and speaking skills through drama. Over 15,000 children attend classes in the UK each week. Jigsaw Performing Arts Schools offer children a 90-minute or a 3 hour session depending on age divided into three sections of dance, drama and singing. Jigsaw was established in 1995 and run classes in Balham. Contact Jigsaw Performing Arts School in Balham on 020 8447 4530. Jigsaw Performing Arts Schools offer children a 90-minute or a 3 hour session depending on age divided into three sections of dance, drama and singing. Jigsaw was established in 1995 and run classes in Bexleyheath, London. Contact Jigsaw Performing Arts School in Bexleyheath on 020 8447 4530.